Family road trip! What’s that smell? Is it Dad, Mom, or–? Pee-yew! It’s cows, and their poop! 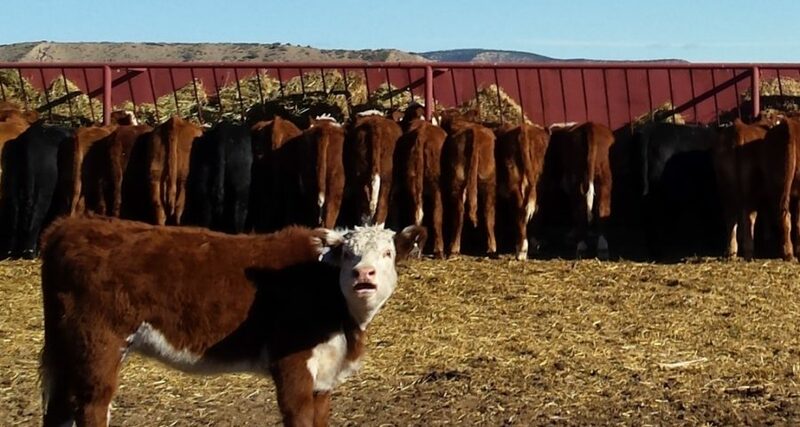 Cows smell bad but their poop smells worse. Then again, could a climate change secret be hiding in those cow pies..? Climate change is a result of increased greenhouse gases. Think methane or carbon dioxide. Methane is forty times more potent a greenhouse gas than carbon dioxide. Far more foul than our noses could detect! Antibiotics are generally used to prevent diseases in livestock. Here, cows were treated with an antibiotic called tetracycline for three days. Then, manure from treated and untreated cows was analyzed for methane production. Results? The pies from cows treated with antibiotics produced 80% more methane than those from untreated cows! This suggests antibiotic treatments may contribute to climate change. It’s clearly food for more thought on cow farms. But in the meantime, in the car? Pine tree air freshener. Phew!